Kesari is likely to cross the Rs 150-crore mark by the end of Sunday. Akshay Kumar starrer Kesari managed to bounce back at the box office to rake in close to Rs 1.25 crore on its fourth Saturday. With this, the Anurag Singh might enter the Rs 150-crore club by the end of this weekend. After a lacklustre show on Friday, with an estimated earning of only Rs 65 lakh, Kesari box office collections picked up on Saturday to reach Rs 149.16 crore, Bollywood Hungama reported. With the final box office collections yet to come in, this number is expected to rise, the report said. With no competition this weekend, except from John Abraham's Romeo Akbar Walter, the Akshay Kumar film is expected to cross the Rs 150-crore mark by Sunday. Keasri box office collections ended at Rs 147.21 crore by the end of its third week, slipping from Rs 105.86 crore in its first week to 29.66 crore on its second week and Rs 11.69 crore on its third week. Romeo Akbar Walter has only started to pick up in its With the Rs 150-crore milestone close at hand, the film still has two more days to have a good run at the box office before Dharma Production's Kalank hits the theatres. 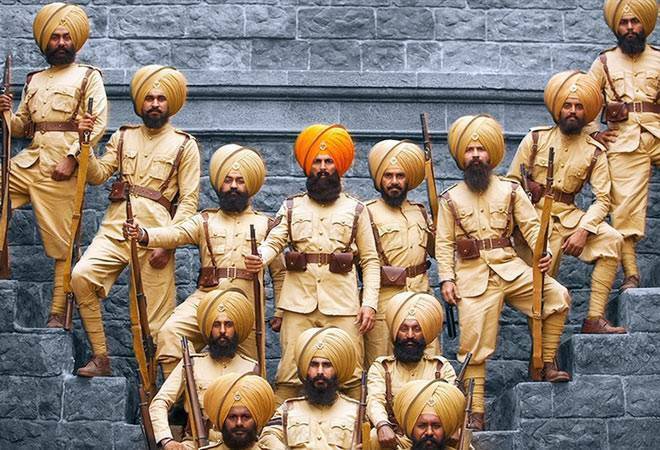 Kesari is based on 1897's Battle of Saragarhi where 21 soldiers of the 36th Sikh Regiment of the British Indian Army put up a strong fight against 10,000 Afghan troops. The Battle of Saragarhi is one of eight stories of collective bravery in the world that has been published by UNESCO. Every year on 12th of September, the 4th Sikh Battalion of Indian Army commemorates the battle around as Saragarhi Day. The film has been applauded by both critics and moviegoers. In Kesari, Akshay Kumar plays the role of Havildar Ishar Singh. Alongside Akshay Kumar, Kesari also stars Parineeti Chopra, Vansh Bhardwaj, Mir Sarwar, Jaspreet Singh, Vikram Kochhar and Vivek Saini.